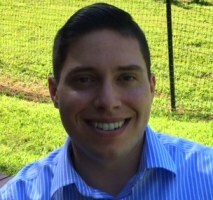 Joel Alicea is a Clerk for Judge Diarmuid F. O’Scannlain of the U.S. Court of Appeals for the Ninth Circuit, and he will join Cooper & Kirk, PLLC, as an Associate in Fall 2014. As a law student, he was President of the Harvard Federalist Society and Research Assistant to Professor John F. Manning. Joel was listed on the Forbes “30 Under 30 for Law and Policy” in 2012, and his writing has been featured in a variety of publications, including the Claremont Review of Books, National Review Online, National Affairs, and various legal journals. He holds a J.D. from Harvard Law School and an A.B. in Politics from Princeton University, where he studied under Professor Robert George. Russell Balikian is an Associate at Gibson, Dunn & Crutcher LLP, where he practices in the firm's Appellate and Constitutional Law group. He previously clerked for Judge Diane S. Sykes of the U.S. Court of Appeals for the Seventh Circuit. As a law student, Mr. Balikian was Co-Editor-in-Chief of the Yale Law and Policy Review. He holds a J.D. from Yale Law School and a B.A. in Political Science and Biblical Literature from Taylor University. Marcella Burke is a second year Associate at Akin Gump LLP, and she will clerk for Justice Don Willett of the Texas Supreme Court during the 2014-15 term. She’s a deputy finance director of the Texas GOP, a co-chair of the Houston MavPAC chapter, and a board member of the Houston Federalist Society. She serves the Vatican on the board of the Pontifical Council of Culture and the New Evangelization, and she is a past member of the USCCB National Advisory Committee. As a law student, Marcella was Editor of both the Harvard Journal of Law and Public Policy and the Houston Law Review. She holds a J.D. from the University of Houston Law Center and a B.A. in Political Science from Texas A&M University. 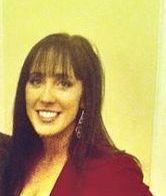 Nicole Frazer will clerk for Judge Jeffrey Sutton of the United States Court of Appeals for the Sixth Circuit during the 2015-16 term. She is an Articles Development Editor of the Virginia Law Review, a Summer Associate at Sidley Austin LLP, and a Research Assistant to Professor Saikrishna Prakash. She previously competed professionally in disc golf and was ranked by the Professional Disc Golf Association as one of the best disc golfers in the world. 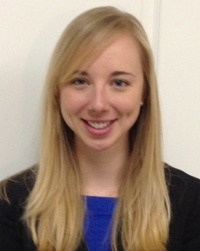 Nicole is a rising 3L at the University of Virginia School of Law and holds a B.A. in Government from Patrick Henry College. Paul Harold will clerk for Judge John M. Rogers of the United States Court of Appeals for the Sixth Circuit during the 2014-15 term. 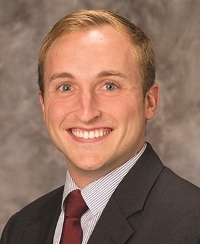 He previously worked as a Summer Associate in the Washington, D.C., office of Winston & Strawn, LLP. As a law student, he served as the Articles Editor for the Stanford Journal of Complex Litigation and the President of the Stanford Federalist Society. He holds a J.D. from Stanford Law School, an M.T.S. from Harvard Divinity School, and a B.A. in Classics and International Relations from the University of Southern California. 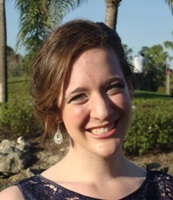 Kathleen Hunker is a Policy Analyst at the Texas Public Policy Foundation and Editor-in-Chief of The Bell Towers, a blog for advancing the rights of life, liberty, and conscience. She was previously a Legal Associate at the Cato Institute, and has worked with the Becket Fund for Religious Liberty and the Institute for Justice. As a law student, she served as Development Editor of the Columbia Journal of European Law and on the National Symposium Editorial Board for the Harvard Journal of Law and Public Policy. She holds a J.D. from Columbia University School of Law, a Master of Laws from University College London, and a B.A. in Political Science and History from Hofstra University. Michael Huston is a Clerk for Chief Justice John G. Roberts, Jr., of the United States Supreme Court. He was previously an Associate Attorney for Gibson, Dunn & Crutcher LLP and served as a Clerk for Judge Raymond M. Kethledge of the United States Court of Appeals for the Sixth Circuit. As a law student, Michael was a Contributing Editor to the Michigan Law Review and a Research Assistant to Professors Douglas Laycock and Daniel Halberstam. He holds a J.D. from University of Michigan Law School and a B.A. in Political Science and Philosophy from the University of Arizona. Mark Kubisch will clerk for Judge Steven M. Colloton of the U.S. Court of Appeals for the Eighth Circuit during the 2015-16 term. He is currently a Summer Associate for Jones Day in Washington, D.C., and he has previously held Blackstone and Hertog Fellowships. Mark is the Editor-in-Chief of the Notre Dame Law Review and Symposium Editor of the Harvard Journal of Law and Public Policy. 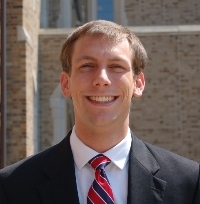 He is a rising 3L at the University of Notre Dame School of Law and holds a B.A. in History and Political Theory from the University of Dallas. Stephanie Maloney will clerk for Judge Stephen J. Murphy, III, of the U.S. District Court for the Eastern District of Michigan during the 2014-15 term, and for Judge Edith Brown Clement of the U.S. Court of Appeals for the Fifth Circuit during the 2015-16 term. As a law student, she was a National Symposium Editor of the Harvard Journal of Law and Public Policy, a Symposium Editor for the Notre Dame Law Review, and the President of the University of Notre Dame chapter of the Federalist Society. Stephanie holds a J.D. from the University of Notre Dame Law School, a Master of Theological Studies from Emory University, and a B.A. in Political Science from Loyola University Maryland. Kaytlin Roholt will clerk for Judge Steven M. Colloton of the United States Court of Appeals for the Eighth Circuit during the 2014-15 term, and for Judge Richard J. Leon of the United States District Court for the District of Columbia during the 2016-17 term. 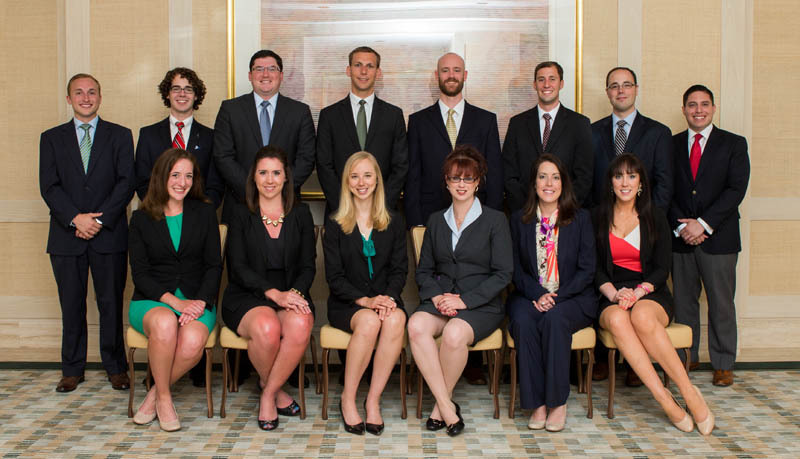 Between clerkships, she will work as an Associate at Jones Day in Washington, DC. As a law student, she was the Executive Editor of the University of Pennsylvania Law Review, President of the Penn Law Catholic Students Association, Founder and President of Penn Law Students for Life, and a Blackstone Legal Fellow. Kaytlin holds a J.D. from the University of Pennsylvania Law School, a Master of Bioethics from the University of Pennsylvania School of Medicine, and a B.A. in English Literature and Theology from the University of Scranton. James Saywell will clerk for Judge David W. McKeague of the U.S. Court of Appeals for the Sixth Circuit during the 2014-15 term, and for Judge Jeffrey Sutton of the U.S. Court of Appeals for the Sixth Circuit during the 2015-16 term. As a law student, he was the Chief Articles Editor of the Ohio State Law Journal and a Research Assistant to Professor Christopher Walker. He holds a J.D. from Ohio State University Moritz College of Law and a B.A. in Political Science and Psychology from the University of Dayton. 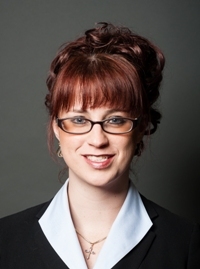 Corinne Snow is a Clerk to Judge Jennifer Walker Elrod of the United States Court of Appeals for the Fifth Circuit. 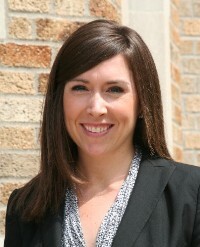 Prior to clerking, Corinne worked as an Associate in Vinson & Elkins, LLP's Environmental Group in Houston, Texas. As a law student, she was President of the Federalist Society chapter at Harvard Law School, an Executive Editor of the Harvard Journal of Law & Public Policy, and a Senior Editor of the Harvard Business Law Review. She holds a J.D. from Harvard Law School and a B.A. in History and Ancient Mediterranean Studies from Vanderbilt University. Jacob Spencer is a Clerk for Judge Diarmuid F. O’Scannlain of the United States Court of Appeals for the Ninth Circuit, and was previously a Clerk for Judge Jerry E. Smith of the United States Court of Appeals for the Fifth Circuit. As a law student, he was Deputy Editor-in-Chief of the Harvard Journal of Law and Public Policy. 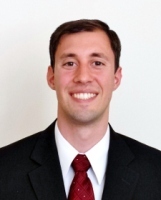 Prior to attending law school, Jacob served as an Admissions Counselor for Washington and Lee University. He holds a J.D. from Harvard Law School and a B.A. in Classics and Religion from Washington and Lee University. Joshua Tully will clerk for Judge Jerry E. Smith of the United States Court of Appeals for the Fifth Circuit during the 2014-15 term. 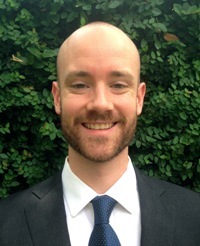 He has previously served as a Summer Associate at Williams & Connolly LLP and as a Research Assistant to Professor Albert Choi at the University of Virginia School of Law. As a law student, Joshua was the Online Editor of the Virginia Law Review. Prior to attending law school, he was a Senior Consultant at IBM. He holds a J.D. from the University of Virginia School of Law and a B.S. in Business Administration from the Boston University School of Management.